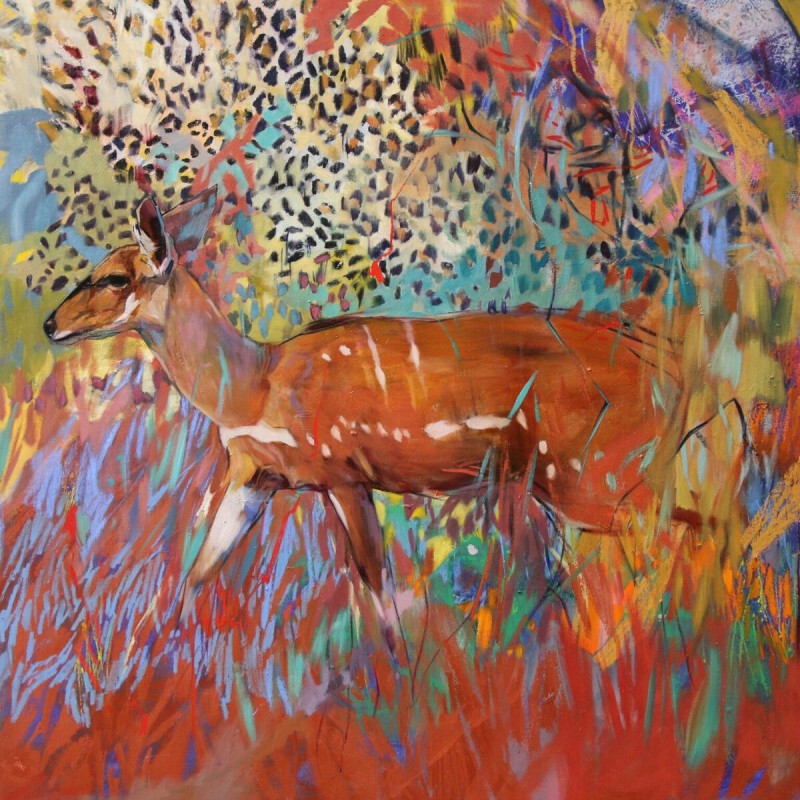 This stunning collection of new paintings from Emily Lamb is both energising and meditative. Using a bold, sometimes electric palette, the paintings bring together powerful animal forms with a strong sense of movement and vibrant, abstracted landscapes. This body of work also explores the human form with spontaneity, sensitivity and unerring observation.